I love this piece is glows like moonstone that is lit up in the moon light. What makes this ring so special. 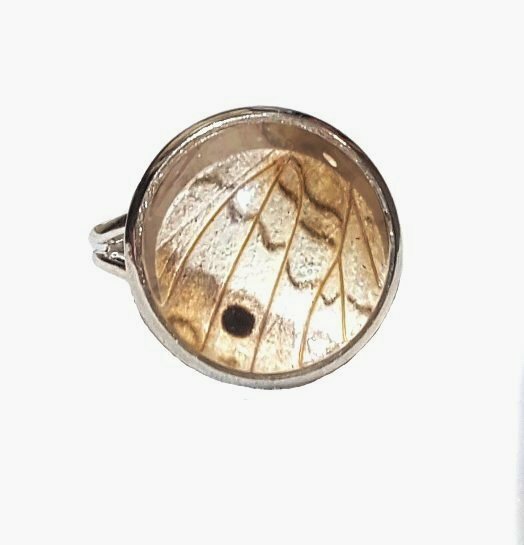 This butterfly wing ring is made with Anartia jatrophae AKA White Peacock Butterfly. Butterfly died naturally after living a full life. 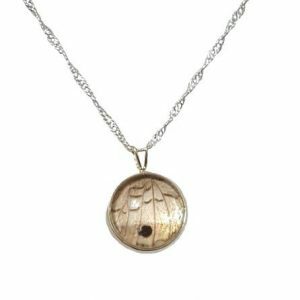 Purchases help save the rain-forest and butterfly populations. Made to empower and inspire woman around the world. Every female has strength, power and beauty. This ring is reminder of that and to invoke your inner goddess. The creamy neutral colors in this wing glow like moonstone. Let this ring be a symbol of your inner goddess and strength. click here to see the number one item that keeps on selling out.